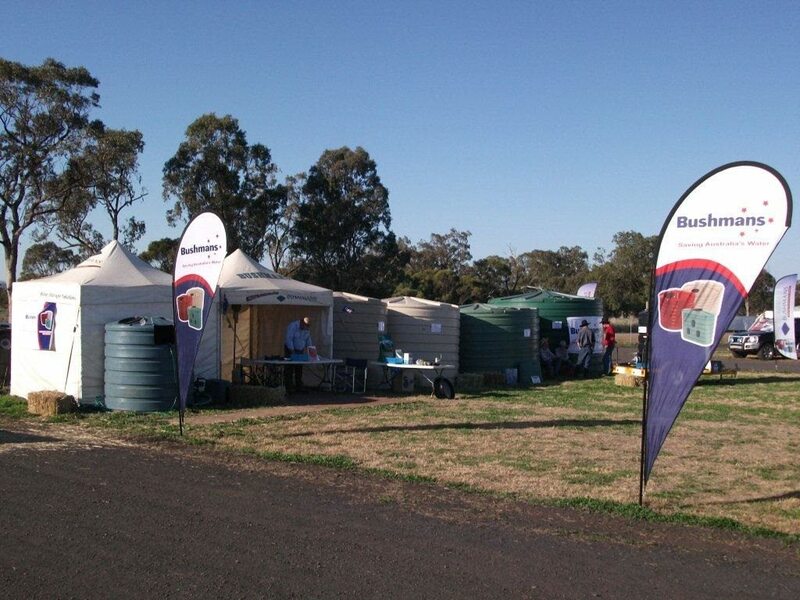 Bushmans is a wholly Australian owned and operated company specialising in water tanks and storage solutions for Households, Agricultural and Commercial use. We also offer a comprehensive range of storage solutions for a wide range of Industrial applications. Our range of rainwater tanks, fertiliser tanks and chemical storage tanks is extensive. Rainwater tanks are ideal for rainwater harvesting, farm water systems, fire water storage and many other applications. Tanks can be customised to suit you or your business’ specific needs. Through our extensive experience of over 30 years, our products are of the highest quality and have been proven in the field. Through Bushmans strategically located manufacturing and distribution facilities, our customers enjoy the benefits of local delivery and local access to the servicing of their products. Manufacturing and distribution networks are situated in Dalby – Queensland, Orange – New South Wales, Terang – Victoria and Adelaide – South Australia. We service and install tanks in even the remotest of areas. We have an understanding of local customer requirements as each state has its own manufacturing and sales support facility. Our head office, which is located in Sydney functions as a support centre providing specialised assistance to each operation. We pride oursleves on having an ongoing focus on continuous new product development. This, coupled with an efficient and reliable delivery network for delivering these products to our customers have supported Bushmans ongoing expansion. This includes the development of our poly water tank range as well as our range of Aqualine Steel Liner rainwater tanks. We have been working continuously to improve our products and customer service since the very beginning in 1989. We aim to understand our customer’s needs including the quality and type of products and services that are expected. This is one of our main focus areas. All Bushmans products are rigorously quality tested and guaranteed. Our advanced production and freight scheduling system allow us to create a delivery window to suit the customer’s preferences. Experienced staff will answer all your enquiries and help you find the best solution for your water tank or industrial liquid storage requirement. All Bushmans factories are fully certified and qualified to manufacture tanks to the AS/NZS4766 Quality Standard, ensuring products produced in each of our plants are consistently made to meet and exceed the specified quality standard.